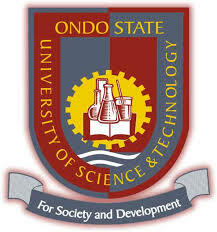 Ondo State University of Science and Technology, OSUSTECH admission list (1st batch) for 2018/2019 academic session is out online. However, the management of Ondo State University of Science and Technology, (OSUSTECH) Okitipupa has only uploaded the admission list to JAMB CAPS portal. What this means is that the OSUSTECH admission list is not yet available on the school portal at osustech.edu.ng. You can follow the steps outlined here to check the JAMB admission status. The released OSUSTECH admission list is the first batch of candidates who have been offered provisional admission into OSUSTECH for the 2018/2019 academic session. They can check their status with the link and steps provided below. First of all, candidates can go to JAM CAPS portal to check their admission status and accept or reject the admission offer. You will see the course you have been offered, the school and option to either accept or reject. Click here to see how to accept or reject admission offer on JAMB CAPS portal. NGScholars congratulates candidates whose names appear on the first batch admission lists of Ondo State University of Science and Technology, Okitipupa.